Saraiki Area Study Centre (SASC) was established on May 23, 2009 by the approval of relevant authorities. It has a brief prior history also. Saraiki Research Centre (SRC) was established in September 2000 by then Vice Chancellor of the university Prof. Dr. Gulam Mustafa Chaudhry (late). Prof. Dr. Anwar Ahmed was appointed its first director. With the effects of Prof. Dr. Zafarullah (Vice Chancellor at that time) the proposal of Saraiki Area Study Centre (SASC) was approved and established on May 23, 2009 by the approval of relevant authorities. SASC was formally inaugurated by the Prime Minister of Pakistan Syed Yousof Raza Gilani on January 23, 2010 who also approved Rs. 30 million as the Prime Minister's Special Grant for Development /Strengthening of Saraiki Area Study Centre (SASC). The centre has some prominent features to be mentioned and highlighted. It has a spacious building with class rooms, library hall, seminar hall, cultural archive hall, research rooms/cabins and office etc. The SASC has a very valuable library with some rare manuscripts, books, journals and magazines. Especially Mumtaz Somro section of this library donated by the family of Mian Mumtaz Somro (late) has 2335 books and journals. Mian Tariq Somro and Mian Nisaz Somro deserve due appreciation for donating this section to SASC. Some other sections of the library are Ateeq Fikri, Dr Mehr Abdul Haq, Qudrat Ullah Shehab, Wali Mohammad Wajid Sections. 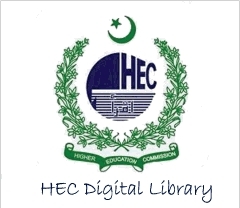 In this regard, we are also thankful to Bazm-e-Saqafat Multan and some other institutions and individuals like Dr. Mohammad Amin, Farid Pirzada, Hanif Choudhry for their cooperation extended to enrich this library. Also, we want to appreciate the efforts of Dr. Anwar Ahmed to establish this library a few years back. The library has about eleven thousand books and journals at this time. We may get more by donations and by our own resources. An archive/museum has also been established in SASC having a number of ethnographic, cultural and archeological items. We are thankful to Mirza Ibn-e-Hanif (late) and his family, Mr. Zulfiqar Ali Bhatti, Mr Nasimullah Rashid, Mr. Mohammed Ali Wasti and others for their kind and valuable contribution in this regard. We hope this archive will get vital importance in socio-cultural life of Saraiki Region and Pakistan in near future. The special attention and the help of the philanthropists, intellectuals and the people of the Wasaib is the need of the day for enriching this archive which we are trying to make the representative place of the culture of this area. The SASC has a well-equipped computer lab and is establishing a conservation lab in near future. An audio Video recording studio is being established form the Prime Minister's grant for audio visual documentation of Saraiki/Pakistan culture and arts & crafts. A research centre with seven cabins for the research scholars with internet facilities has also been constructed in SASC. The research cell of the department has compiled, edited, translated and published 32 books on the topics of Saraiki Literature, History, Archeology, Research and Linguistics. I. Ph.D. & M.Phil programmes on culture, history, archaeology, art, literature, languages, communication, economics, agriculture, industry etc. specific of Saraiki Region. II. Short Courses on music, arts and crafts. III. Training workshops for qualitative and quantitative research methodologies and surveys. IV. Certificate and diploma courses in communication and translation skills in different Pakistani and international languages to train the students and skilled and un-skilled youth of the area for national and global market. In view of above stated facts we hope that SASC will adopt a leading role in promotion of knowledge, cultural harmony, art, language and literature of Saraiki region. which may strengthen socio-cultural relations, tolerance and peace in Pakistani society. Department of Saraiki is one of the recent, though long-awaited disciplines of Bahauddin Zakariya University, Multan. It was established in 2006 with the admission of students to M.A Saraiki after the establishment of Saraiki Area Study Centre. It was made a part of the Centre. Saraiki is an ancient language of central Pakistan, spoken as the major language in the southern Punjab. Saraiki is also the native language of several districts of Sindh, Balochistan and NWFP where rich traditions of Saraiki literature have existed since centuries. Saraiki Language has its own phonetic system and grammatical structure. Literature in this language is unique in content and styles and has about seven hundered years long tradition, which include the Sholks of Baba Fariduddin Ganj-e-Shakar, Sachal Sarmast, Charagh Awan, Akbar Shah, Ali Haider Multani and Khawaja Ghulam Freed etc. Saraiki literature is rich poetic forms and vocabulary, along with its distinct variety of a folk literature, and it is an unexplored treasure of folk wisdom. The Department of Saraiki has had the Saraiki Research Centre as its Predecessor, which was established in 2001. Many research projects have been completed under the supervision of the Department of Saraiki, and many more are underway to completion. 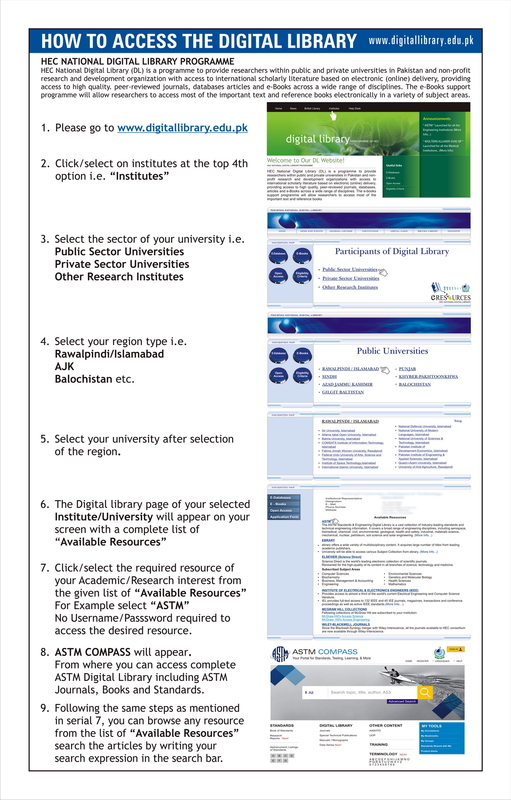 The Department of Saraiki has a comprehensive agenda for the publication of books and other research material. The syllabi of M.A. , M.Phil, Ph.D Saraiki have been designed in view of the latest concepts of language and literature and are inclusive of a compulsory paper in Saraiki linguistics, creative and journalistic writing. Subject such as cultural studies, archaeology, post colonial studies & linguistic communication would be part of this study centre, with many more projects of cultural and social values. The development of a small but valuable Museum and other visual aids to reflect the rich culture of this area. The decoration of the roof, a panel of glass decoration and Kishigari are the manifestation of such vision. A valuable library, comprising of rare books and manuscripts, donated by Late Mahr Abdul Haq, Late Ibn-e-Hanif, Late Mian Mumtaz Soomro, Late Allama Ateeq Fikri, Late Wali M. Wajid, Late Q.U. Shahab, Late Khalish Pir Ashabi, has been raised. Linguistics is usually considered a new area of study but it has it roots in older societies like Anisent India and Grece too. In 20th century new paradigms of the subject were introduced and along with the historical linguistics general linguistics came in to the scene and it in fleeced every discipline of social sciences and literature from sociology to criticism and from philosophy to anthropology. The department of linguistics communication was the basic part of the Saraiki Area Study Centre from the very begging. Now from this year this department is going to introduce two master programs. This department will offer M.Phil and Ph.D programs in Linguistics and Translation Studies in near future. Aggregate Marks in B.A/B.Sc + 20 marks for the applicant who have done graduation with Saraiki as an Elective/Optional subject.